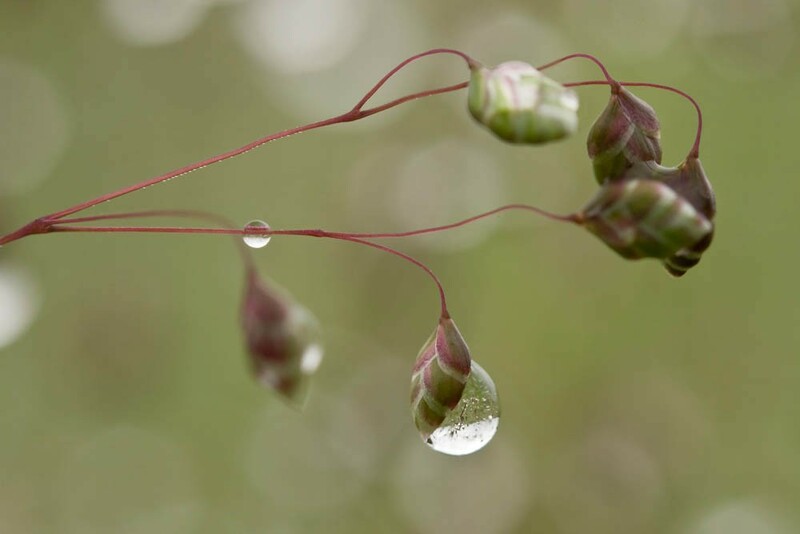 Quaking grass is one of our most attractive and easily recognised wild grasses on account of its delicate branched head of trembling or ‘quaking’ spikelets which are greenish yellow, often with a sheen and tinged purple. It is a perennial, its plants are tufted with smooth flat slightly greyish green leaves. Its foliage usually remains short at the bottom of a sward, particularly in a mixed or grazed sward. The flowering stems grow up to a height of up to 50cm in June. Quaking grass is most frequently found growing in unimproved, species-rich, well-managed grassland on infertile calcareous soils and favouring well-drained slopes. It also occurs in, and can be quite abundant in, old meadows and pastures on neutral and sometimes acidic soils, and in the drier parts of some wet grassland. It is a slow growing non-competitive grass that relies on soil nutrient stress combined with mowing and/or grazing to moderate competition from more vigorous grasses. In exceptional circumstances on banks where the soil is very poor, calcareous and free-draining, and possibly also where grazing and trampling have helped eliminate taller grasses, it can become the most abundant grass. Quaking grass has no special germination requirements and so can be sown at any time of the year to raise plants. 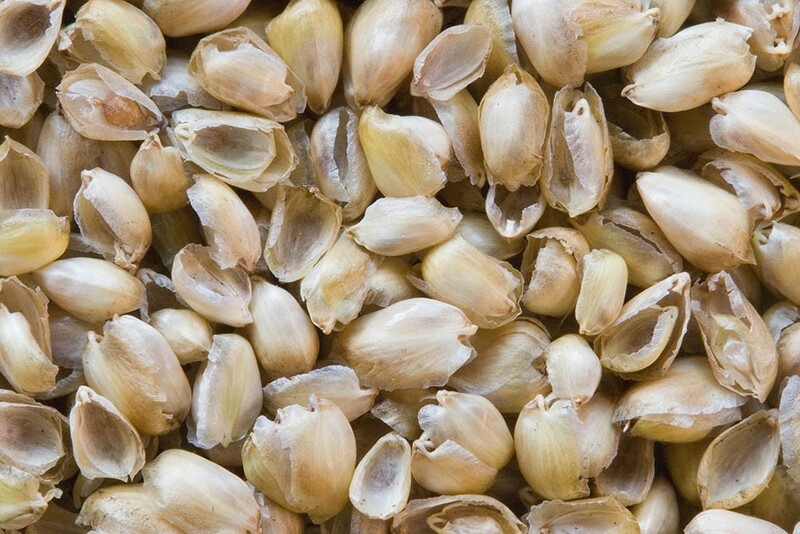 As with most grass seed this means that seed can also be sown successfully in open ground in both autumn and spring, however our experience of sowing quaking grass in the field suggests that it is unusual in most often producing a better establishment from an autumn versus a spring sowing. As Quaking grass is not a very competitive grass it does require good grassland management (mowing and grazing) to maintain its presence in a mixed sward, particularly on better soils. Neglect, or even regular late hay cutting will allow taller grasses the opportunity to outgrow and to shade it out. 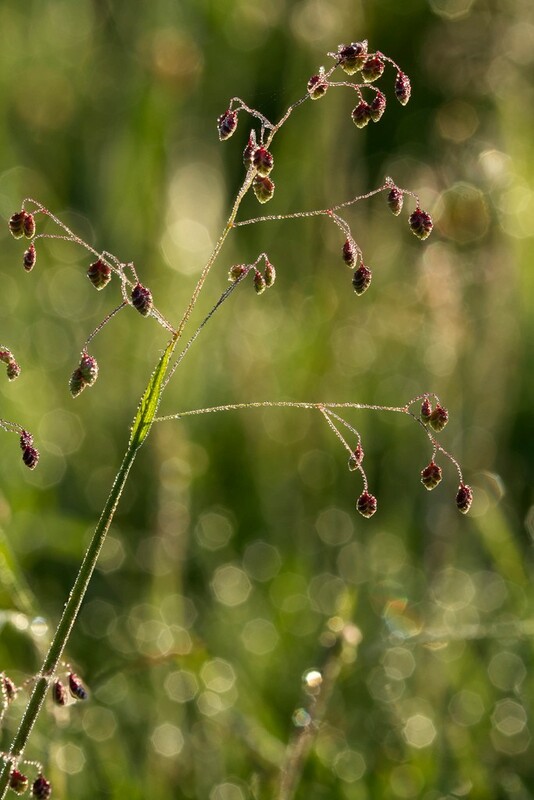 Also whilst quaking grass does produce side shoots it does not spread laterally very much so is dependent self-seeding into gaps created by good management to maintain itself or increase in a mixed sward. On drier open impoverished substrates (such as shallow green roofs) its ability to cope with stress means it can survive and grow with little attention. Quaking grass is slow growing so whilst its foliage is quite palatable to livestock, and easy to mow, it is not a productive grass and does not contribute much to grazing or hay yields.